GAMBELA, Ethiopia -- Rebel fighters in South Sudan have set their sights on a new target: oil. And their tactics are putting the interests of the world's second-largest economy at risk. All of the crude currently flowing from South Sudan is produced in government-held territory in Upper Nile State, and opposition leader Riek Machar says his fighters are mobilizing to occupy the Paloch oil fields there. A successful offensive would not only curtail revenues for South Sudan's government but also threaten China's stake in crude production. 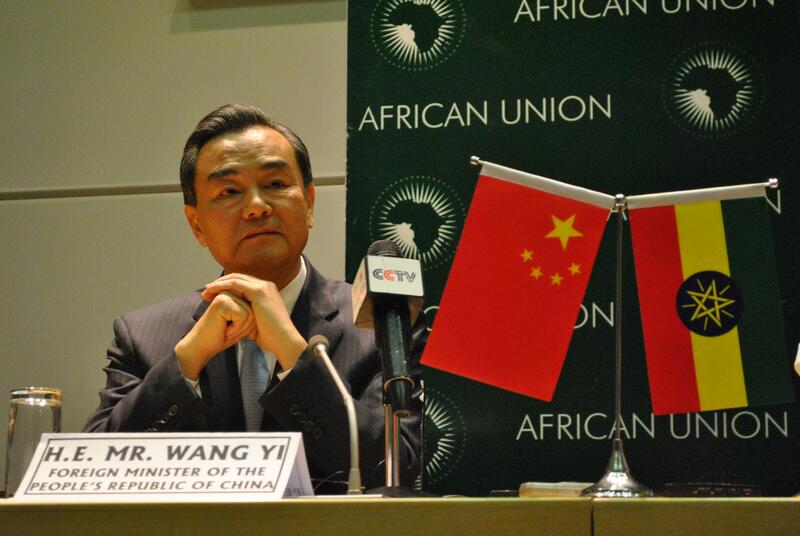 That's why China is pursuing a new strategy in South Sudan's conflict. Beijing is typically known for its noninterventionist policies in Africa, where Chinese companies invest heavily and without much concern for who is in power. But even before the rebels set their sights on Paloch, China had been partnering with Western and African mediators in an attempt to bring peace to the world's youngest country, where the two largest ethnic groups have been pitted against each other in an increasingly bloody showdown. The conflict has deep roots. South Sudan's ruling party, the Sudanese People's Liberation Movement, or SPLM, and its army, the SPLA, suffered from internal divisions even before the nation achieved formal independence from Sudan in 2011. The rebels, who call themselves the SPLM/A in Opposition, argue that Kiir's government has squandered oil revenues, which make up about 98 percent of the national budget, and failed to tolerate criticism or reform within the party. If the opposition succeeds in taking Paloch, it is unlikely that China would participate in the escrow account Machar proposes, says Luke Patey, an analyst with the Dutch Institute for International Studies and the author of "The New Kings of Crude: China, India, and the Global Struggle for Oil in Sudan and South Sudan." Efforts to do just that began shortly after the conflict erupted in December. Chinese Foreign Minister Wang Yi told journalists in Addis Ababa, Ethiopia, on Jan. 6 that a representative of the Chinese government was visiting the region and talking to both sides. “While I'm in Addis, if it's possible and under the auspices of my Ethiopian friends, I'm ready to directly engage the two parties, and that I believe is also my responsibility," he added. Since then, China has been a key player in the ongoing mediation. Its exhortations to both sides to restore peace and stability are hardly controversial, but its presence at the negotiation table signifies an emerging trend -- one that China has been hinting at for years. In 2008, for instance, Beijing broke protocol to step up its rhetoric against Sudan regarding the crisis in Darfur, though only after China was criticized for maintaining investments in, and selling weapons to, Sudan. China has also offered to mediate oil-related disputes between Sudan and South Sudan several times since the latter gained independence. Now, an internal conflict in South Sudan is giving Beijing another theater to try out its new tactic. South Sudan's future will depend on its partnership with China; the China National Petroleum Corporation, or CNPC, is the biggest shareholder in South Sudan's operation companies, and China was importing about 77 percent of South Sudan's crude before the conflict began. 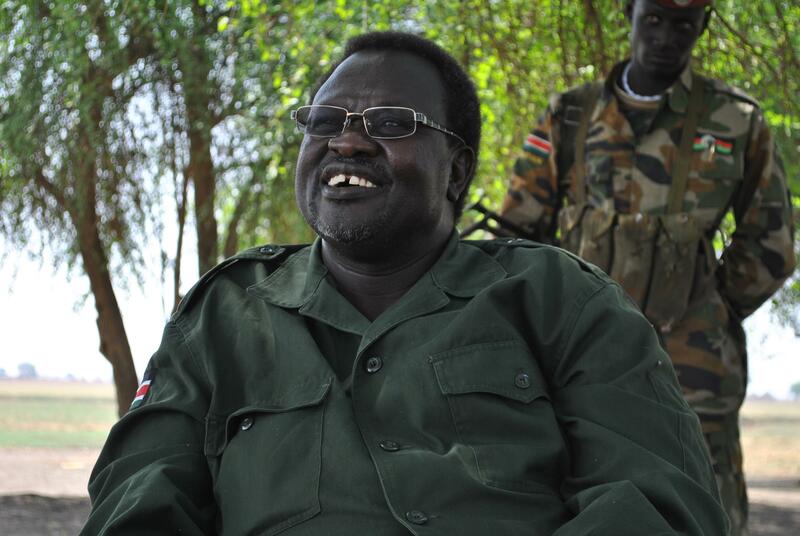 Should his opposition forces prevail in South Sudan's civil war, Machar said he has no intention of changing that. “It's an open market,” he said. Open or not, South Sudan's market hasn't been an attractive one of late, even for China. South Sudan took 75 percent of Sudan's oil fields when it achieved formal independence in 2011. It now has the third-largest oil reserves in sub-Saharan Africa but still relies on its northern neighbor for the pipelines to get its crude to market. A row between Juba and Khartoum over pipeline fees and border disputes led to a 14-month shutdown beginning in early 2012. That year, according to the U.S. Energy Information Administration, crude from South Sudan made up only 1 percent of China's total crude imports. In 2011, South Sudan's crude accounted for 5 percent of Chinese oil imports. South Sudan's oil is flowing today, but conflict has taken its toll. It has delayed plans to build two major refineries in oil-producing states, and the oil ministry said in February that production had fallen to 165,000 barrels per day, about half the country's total potential output, according to government estimations. That won't have a significant effect on China's oil security; the world's most-populous country consumed about 10.7 million barrels per day last year, making South Sudan's contribution, or lack thereof, a drop in the bucket. But oil isn't all that's at stake in South Sudan, which is why Beijing has endeavored to turn up the heat in its response to the crisis, even if only from cool to lukewarm. Though China appears steadfast in its determination not to take sides in the current conflict, its role in mediation could mark a turning point for the world's second-largest economy. CNPC and other Chinese companies involved in high-risk states may prefer to keep investments separate from politics, but when oil fields become a key target for two sides in a violent conflict, that hands-off approach could become increasingly untenable.